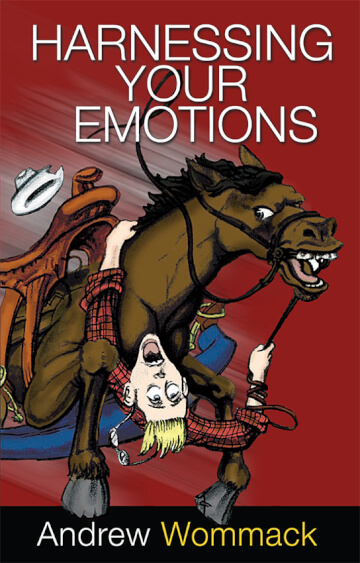 Sin is Emotional This teaching reveals that positive emotions are not optional. God commands us to take control of our emotions. In fact, sin is conceived in our emotions. A person who doesn't master their emotions is a person who cannot overcome sin. Self-Esteem Emotions are a result of how we think. A person who has low self-esteem is going to be depressed. But how does this square with the statements of God's Word about denying ourselves and becoming nothing in our own sight before God can use us? The answer lies in Christ-esteem, not self-esteem. Our born-again self is the only part of us that we need to esteem. Anything less is destined to fail. Identity in Christ We need to analyse and then identify with the new self that we have become in Christ. This teaching will give you a look at who you are in Christ that very few Christians have seen. This is life-changing and one of the major keys to a victorious life in Christ.